Playing along today in a couple of challenges. 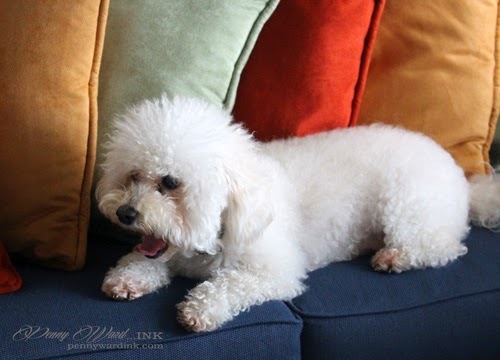 This is Snowy...my constant shadow. So let's talk about this Christmas card. Though it is a crazy Christmas card, I know exactly which friend I will be sending it to as her tree is always decorated in such crazy colors each year. Love her!!! In love with how this glitters and shines and sparkles galore!!! Such a fun take on the sketch and the photo - So fun and just very trendy - like you said!!! Have a beautiful day!! VERy creative and refreshing!!! Love hot pink with animal print type, YAY!!! Thanks for joining us at The Challenge this week! 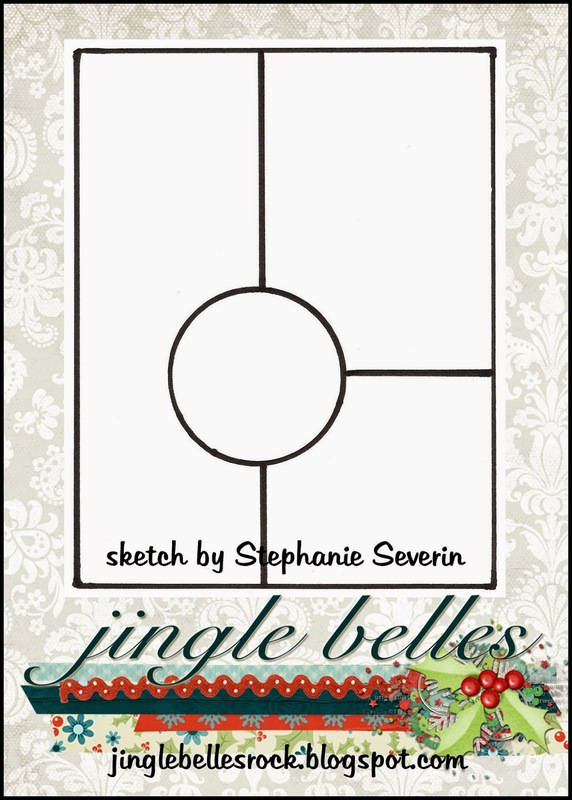 Merry & Trendy indeed ... love how the pink pops ... so very glad you created with our sketch at jingle belles. Fabulous and fun card! Love all those amazing colors and patterns. And your sweet little shadow is so adorable. Thank you so much for playing along with us at The Challenge! What a clever creation! Love the sparkle on the sentiment. Thank you for joining us at The Challenge!